Does WEP/WPA slow down wireless connections ? Yes, WEP and WPA encryption add some overhead in terms of calculations needed to encrypt/decrypt the traffic. The exact impact greatly depends on the processing power of the network device, it can vary from 5% to 30% of the maximum throughput. With newer routers that have faster processors, enabling WEP/WPA should not have a major impacts on performance, it should be barely noticeable at full load. Some older models, however, can slow down as much as 30% or more due to the added processing overhead. Even though there is some perfomance impact, it is not noticeable in newer devices, and the benefits (security) far outweigh any drawbacks. Note that WPA2 (AES), in addition to being more secure is also much more efficient than WEP/WPA(TKIP) and should be used, if possible. 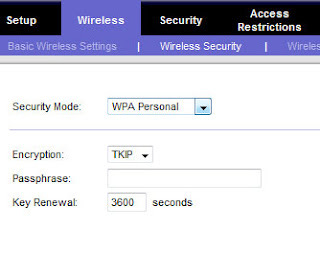 How much do WEP or WPA/WPA2 encryption hurt wireless performance? i understand that it varies from router to router, newer ones having nearly zero impact, but some having up to 25%. mine is somewhat oldish (3 years maybe? ), its a D-link DI-524. just curious.